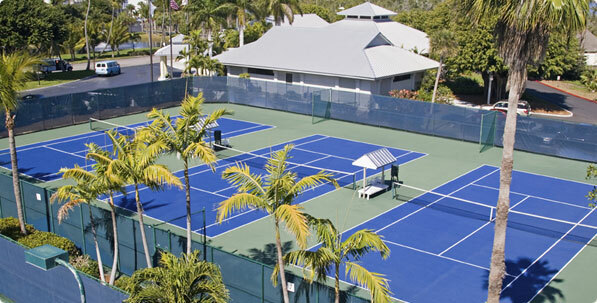 The Ultimate Tennis headquarters is located in sunny Saint Petersburg, Florida. We design and manage tennis leagues for cities around the country and are lucky enough to have thousands of passionate tennis players just like you to keep us focused on our mission of Ultimate Tennis. The idea for a league was formed in 1988 by Scott Nunn and a small group of University of South Florida graduates and tennis team members. After graduating, they managed several small tennis facilities around the Tampa Bay Area while searching for league play to keep their members active. There were a number of other leagues out there, but most fell short in meeting the needs of the average player: getting on a team was difficult, ratings were inaccurate and sandbagging was rampant. Our members were frustrated and working way too hard to get a mediocre game of tennis. To solve the problem, we decided to create in house leagues for our members, and that’s when we saw an opportunity. If we could build a better league for our players, others might be interested. In 1990, Scott decided to get serious. He formed a small company with the goal of building a league that put the needs of the player first, and the origins of Ultimate Tennis were born. We held focus groups, asked questions and hit the courts to find the secret ingredients of a good league. After extensive research we made our punch list and started building a brand new league from the ground up. To reach our goals, we first created a flexible match scheduling system that would make league play accessible to everyone. Next, we formulated a new rating system that could support three times as many playing levels as traditional leagues. Finally, we added an exciting point scoring system, pro style playoffs, great prizes, and live customer support. After launching our first season, word got around that we were on to something big and players from all over the city asked us to expand the league to their part of town. The K•SWISS shoe company liked our grass roots style program and, in 1992 signed on as title sponsor. For the next 12 years the league was known as “K•SWISS”, and with their support we continued to grow and create a loyal following. By fall of 2004 we decided it was time to create our own unique identity and we returned to our original name - “Ultimate Tennis”. Our long standing partner K•SWISS supported the move and still remains to this day a major league sponsor and the official shoe of Ultimate Tennis. In 1998 we launched the first version of ultimatetennis.com, opening a whole new world of options for our members. Players could now easily access league information at home or work in addition to enjoying a host of powerful new features. The website provided convenient online registration, scoring, real time stats, detailed standings and professional playoff draws. More importantly, the Internet allowed us to share the league with other cities. It wasn’t long before people from all over the country started asking us to bring Ultimate Tennis to their hometown. Today we have celebrated over 20 years of league service and we owe it all to you, our loyal members. Your passionate support and our passion for designing the Ultimate Tennis League have made a winning combination. From our humble grass root beginnings to over 85,000 members nationwide, you have helped us grow into the largest flex league in America and we thank you. While we continue to add more features and refine the experience, our goal hasn't changed since day one — deliver you convenient, competitive matches and the Ultimate Tennis experience! For more than 20 years Ultimate Tennis has led the industry in innovation, but we can’t take all the credit. It’s our customers’ high expectations that drive us to improve our league. It’s your love of the game that inspires our unwavering dedication to customer satisfaction. You expect our league service to get better every year and have good ideas on how that should happen. So we’ve been doing what any smart company would do - we’ve been listening. Our new website is full of a wide variety of innovations all inspired by you. You see, we may be changing the game, but you’re the ones actually driving the change. So go ahead - keep sharing your great ideas and we’ll keep making your tennis even better! and companies all committed to delivering you great tennis.